Hopefully everyone had a great weekend, the weather was a bit cool, a bit windy and even snowy for some folks. Monday featured another quick show of moisture with rain, snow and sleet especially for areas South of Denver. The good news is; spring will make a return this week! 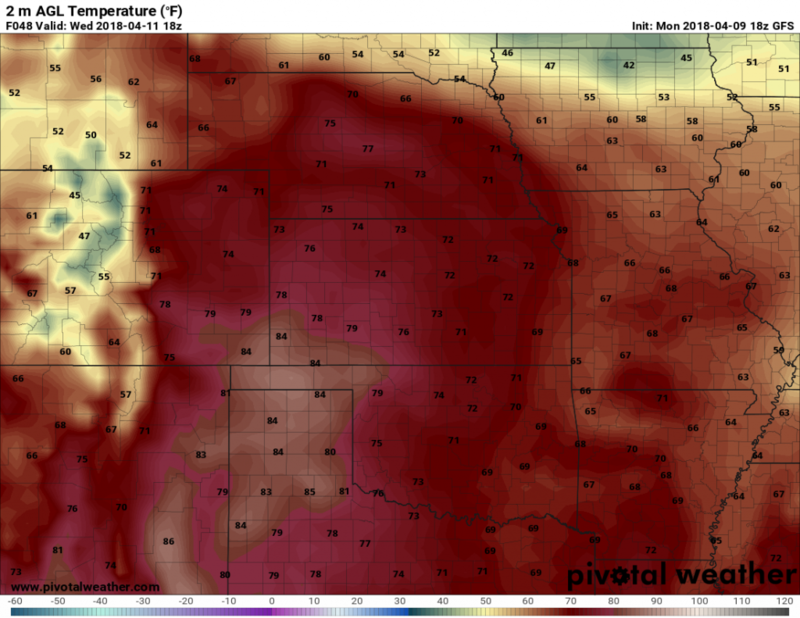 A warm blob of air moves into the area on Tuesday with highs up and down the front range reaching into the 60’s and even a few 70’s in some places. The air will be dry and fire danger will be a concern but Tuesday will be on of the less windier days we will see this week. 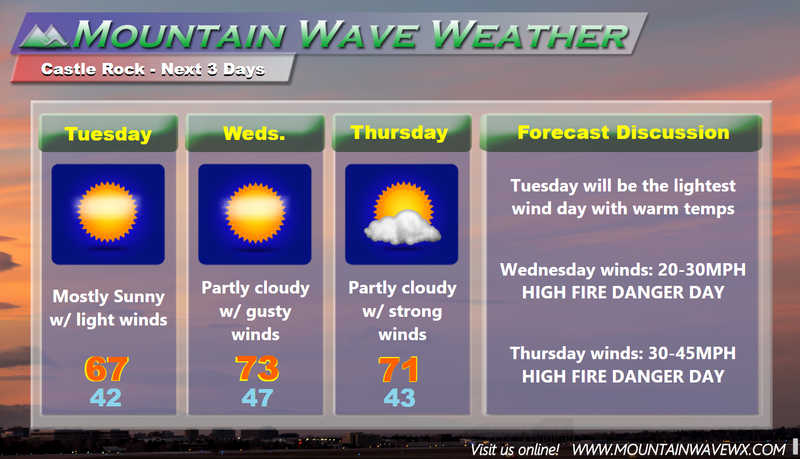 Wednesday features more warm air and stronger winds. Downsloping conditions will warm temperatures into the 70’s once again at lower elevations and 60’s in slightly higher elevations. 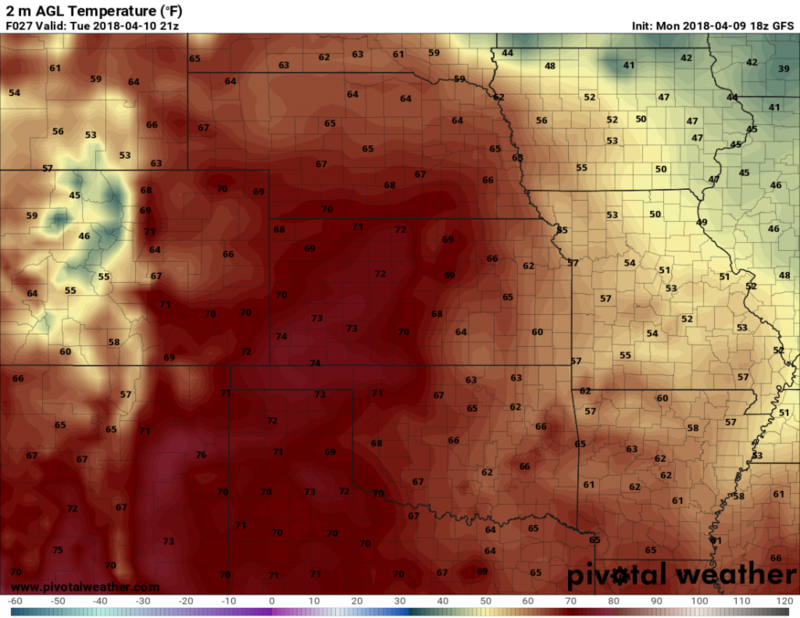 Most areas along the Palmer divide should end up in the mid to upper 60’s during the day and low 40’s to upper 30’s by nighttime. Downslope winds will make for a warmer night. We’ll keep an eye on the forecast, but expect windy conditions, above average temperature and critical fire weather conditions over the next few days. We’ll try to keep up with the fire weather alerts and have a post about them, but in the meantime you can get near real-time weather alerts for Castle Rock on our Castle Rock Weather Warnings’ page. (These are automatically updated about every 15 minutes, 24 hours a day and 7 days a week.